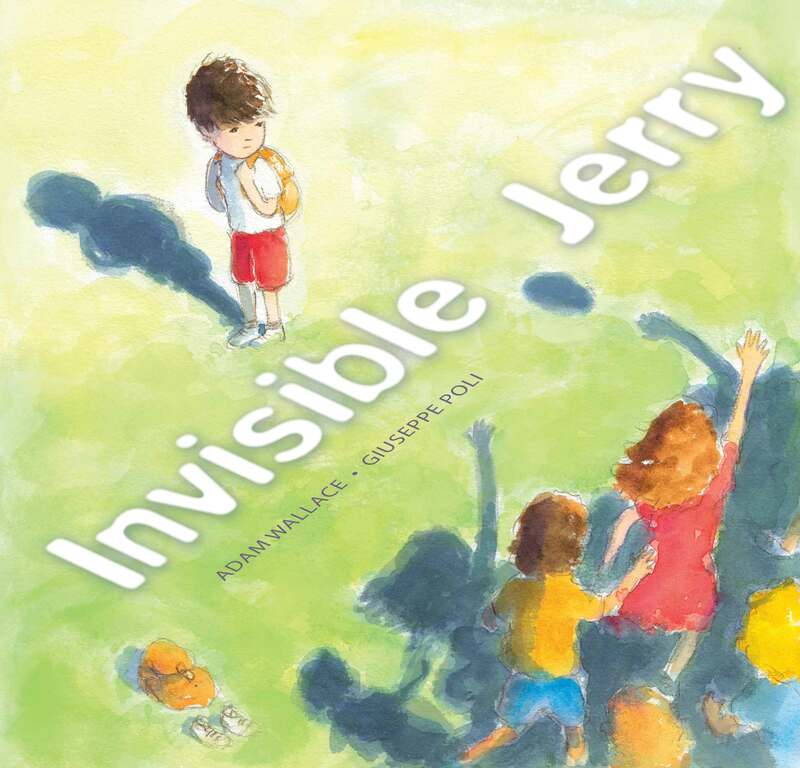 Invisible Jerry by Adam Wallace : a good picture book to open up discussion on lonely children and helping them belong. People don’t notice Jerry. If someone bumps into him, they don’t say sorry. If he makes a joke, no one laughs. He never gets picked last for sports teams — but that’s because he never gets picked at all. It’s like he’s invisible. Until Molly comes along. Molly asks Jerry his opinion. She laughs with him. She sees him. The impact when we begin to notice children like Jerry is huge. Jerry, no longer invisible, starts to shine, people notice him and then he goes on to notice other invisible children and helps them shine and they in turn help other children to shine. The colourful illustrations have a soft, almost blurry-edged feel to them which reinforces the feeling of invisibility. This would make a good resource for teachers to use in class about inclusiveness and encouraging children to play together. No one should be invisible. If we look close enough, there are children like invisible Jerry everywhere. There are children who are lonely, shy, who don’t fit in but would love to be included, love to be chosen for teams and games. We need to start noticing these children and help them shine.